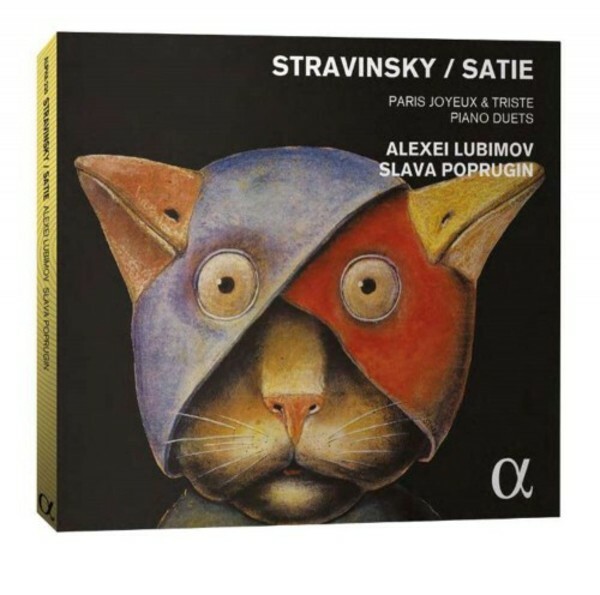 In Paris joyeux & triste, Alexei Lubimov and Viacheslav Poprugin alternate pieces by Igor Stravinsky and Erik Satie, two composers who became friends in the early years of the twentieth century despite their very different musical personalities. Stravinsky made his own two-piano arrangement of the �Dumbarton Oaks� Concerto, while Satie�s Socrate and Cin�ma are heard here in arrangements by John Cage and Darius Milhaud respectively. Pieces for two pianos, for piano four hands and for prepared piano combine on this disc, which mingles music and theatre � for it is the theatrical element that unites the two composers. As Diaghilev said to Cocteau: �Astonish me!� With this programme, these instruments and his extremely diverse musical experiences, Lubimov continues to make that his credo today.